With the rate of mental health issues in Australia on the rise, a welcome reform to private hospital cover is helping to remove the barriers to getting help. One in five Australians experience a mental health condition in a given year, and almost one in two will experience a mental health condition at some point in their lifetime1. Data from the Medibank Better Health Index suggests certain conditions — including anxiety, depression and panic attacks — are on the rise, with each showing a marked increase over the past seven years. This has prompted action from the government, announcing a reform to the way private health insurers can offer support for their members that require professional help. In April 2018 a Mental Health Waiver was introduced. This gives eligible private hospital insurance members who have already served their waiting period for Restricted in-hospital psychiatric treatment the option to upgrade their cover to one with Included in-hospital psychiatric treatment and elect to have the 2 month waiting period for those higher benefits waived. Members need to have held hospital cover without a break of more than 2 months to be eligible to use the waiver. Members will only be able to use the Mental Health Waiver once in their lifetime. The waiver only applies to the 2 month waiting period for the higher Included benefits for in-hospital psychiatric services and all other applicable waiting periods will continue to apply. To use the Mental Health Waiver, members need to contact Medibank on 132 331, visit a store or engage via 24/7 live chat. A member can also grant authority to another person to make changes to their policy on their behalf. You can read more about the Mental Health Waiver here. In addition to the reforms that apply to hospital cover, Medibank has removed the 2 month waiting period on psychology services on marketable extras and packaged products as of 1 April 2018. This means members upgrading to these products can immediately access clinical psychology extras benefits (up to annual limits). Medibank has also gone a step further by introducing a mental health advice and support service for our members. Medibank members with hospital cover can access Medibank Mental Health Phone Support to speak to a registered mental health professional. The service can help with information related to the best place to seek help, how to support a loved one, or information about signs and symptoms of mental health concerns. Medibank Mental Health Phone Support will also offer, where appropriate, a follow up service to check in on how the customer's help seeking journey is progressing. It can be accessed 24 hours a day, 7 days a week on 1800 644 325*. *Overseas Student Health Cover members should call the Student Health & Support Line on 1800 887 283. If you’re concerned about your mental health, you should start by talking to your GP. Your GP can assess your symptoms to make a diagnosis, develop a mental health care plan specific to your needs, and provide a referral for a mental health specialist. Once you’ve got a mental health care plan, your doctor may refer you to a specialist who can help. This could be a psychiatrist, psychologist or counsellor. Under Medicare, everyone with a care plan is entitled to 10 subsidised specialist appointments per year . Whilst Medibank don’t fund these sessions in addition to the subsidy from Medicare, if you have extras cover that includes psychology we will pay benefits towards subsequent sessions with a psychologist (up to annual limits). Counsellor is a generic term for someone who offers talking therapy and may be a psychologist, nurse, social worker or occupational therapist. 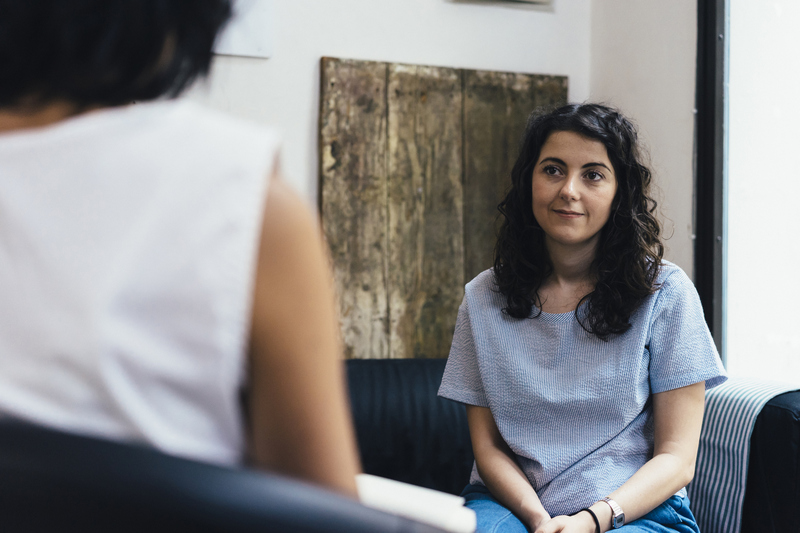 It’s a good idea to check that your counsellor has training in an area that is appropriate for your needs - you could start by searching through organisations like The Australian Counselling Association or Psychotherapy and Counselling Federation of Australia. Psychologists can provide a range of therapies (eg. talking therapy, art therapy) to deal with problems like depression, anxiety, stress and grief. Psychologists have undertaken a tertiary qualification in their field and must be registered to work with the Psychology Board of Australia. While psychologists and psychiatrists share many similarities, the major difference between the two professions is that psychiatrists specialise in the biological causes of mental illness, while psychologists focus more on the cognitive and behavioural aspects. Psychiatrists are able to prescribe medications and admit people to hospital, while psychologists cannot. Some people who experience mental health problems may need to spend some time in hospital. Both public and private hospitals provide mental health services. You may be referred to a hospital through an emergency department, community mental health team or your GP. Medibank and beyondblue have also joined forces on a mental health portal. It contains tools to help people and their loved ones identify and get support for mental health issues. It features interactive content, including videos and checklists with advice from beyondblue and Medibank mental health experts. Australian Bureau of Statistics. (2008). National Survey of Mental Health and Wellbeing: Summary of Results, 2007 (4326.0). Canberra: Australian Bureau of Statistics.